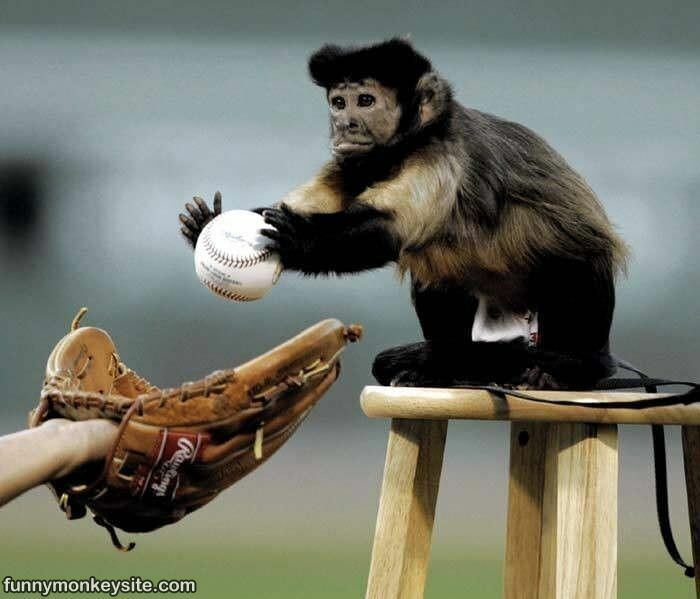 There was no monkey involved in the triple play the Nashville Sounds pulled off Saturday night, but that was about the only thing missing from what has to be the most unusual triple play ever. The Sounds, the minor league AAA affiliate of the Milwaukee Brewers, were on the road taking on the Omaha Storm Chasers Saturday night. Leave it to the minor leagues – home of Star Wars night and mascot fights – to put a crazy twist on the big play. The visitors picked up a 4-1 win, but what had everyone talking was the wacky triple play. With Storm Chasers on first and second base, Clint Robinson stepped into the box and slashed a screaming line drive to center field. It appeared as though the ball would fly over the Sounds’ man in the middle of the outfield, Logan Schafer, and then bounce to the fence. Instead, Schafer stuck his glove up in the air and the ball deflected off of it. The baseball bounced off the glove and then bounced off the top of Schafer’s head. Proving hand-eye coordination is key in the sport, Schafer caught the ball in his glove after it hit his noggin and before it hit the ground. The Omaha baserunners had anticipated the ball getting past Schafer and so were speeding around the bases. After making the catch, Schafer wheeled around and threw the ball to second baseman Eric Farris who stepped on second for the second out of the inning. Farris then lobbed the ball over to Sounds first baseman Mat Gamel to record the third out before the runners could retreat back to their original bases. This was the second triple play the Sounds have turned this season. Three is a magic number and it really has to be seen to be believed. After watching this I can’t help but remember Jose Canseco’s less-than-successful use of his head in playing the outfield.